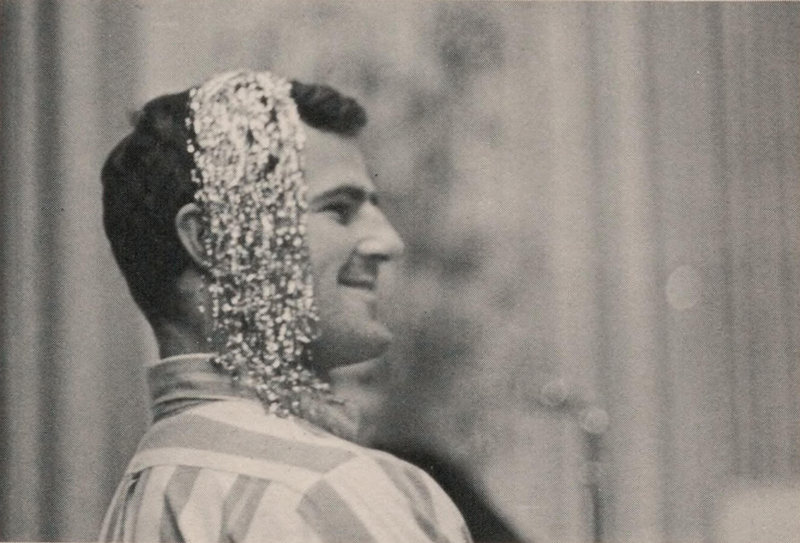 This haunted photograph appears in the Cape Cod Community College yearbook of 1968. Why are strange glows so ghostly? 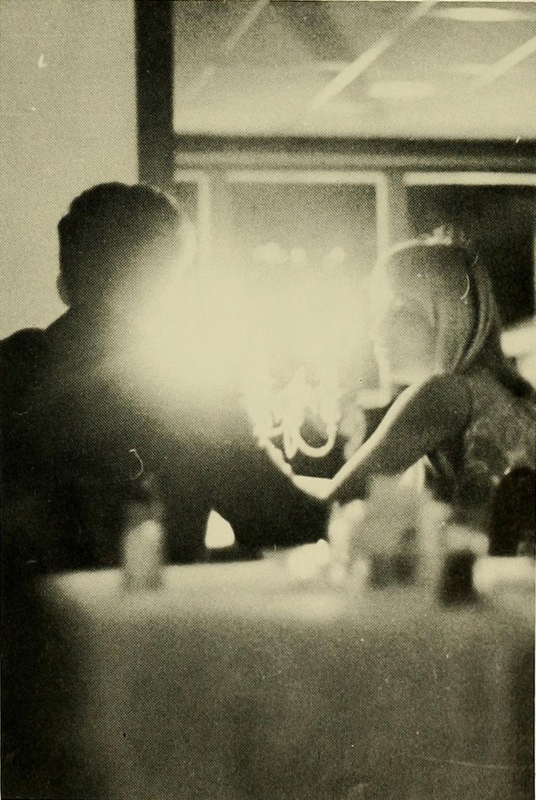 Such lights are perhaps manifestations of what Ross Chambers calls "flauntology." Chambers notes that when a metaphysical subject matter is inexplicable, to demonstrate or manifest that inexplicibility requires abstaining from any attempt to explain it away, with the aim to make hauntedness haunting and not to lay the ghosts; "to demonstrate or display without explanation is ... to flaunt .... [I]t is the flaunting of hauntedness that makes hauntedness haunting. 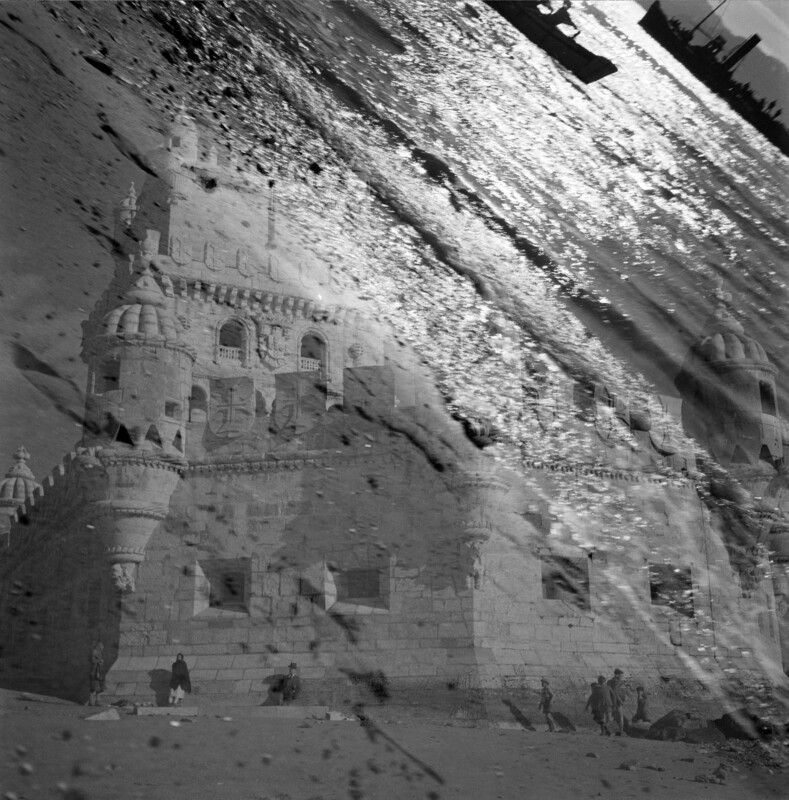 If it is true that there is no ontology without a hauntology, it seems to be also the case that there can be no hauntology without a flauntology, since flaunting names the apodictic gesture, the act of relay, that, in causing hauntedness to be seen, makes it haunting. Flaunting is, par excellence, the gesture of visibility" whereby the lacking object can be figurally presented as an interpretive, recognizable object that haunts (Untimely Interventions). 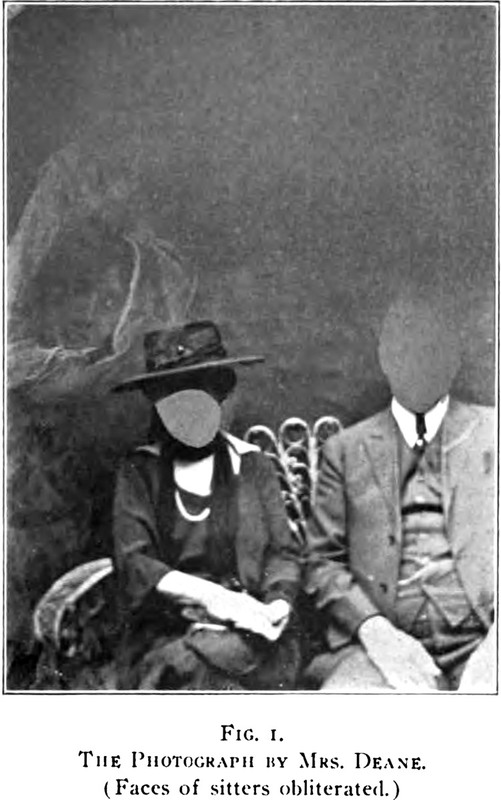 A spirit photograph is made even eerier by blocking out the faces of the sitters from the Journal of the American Society for Psychical Research, vol. 16 (1922). 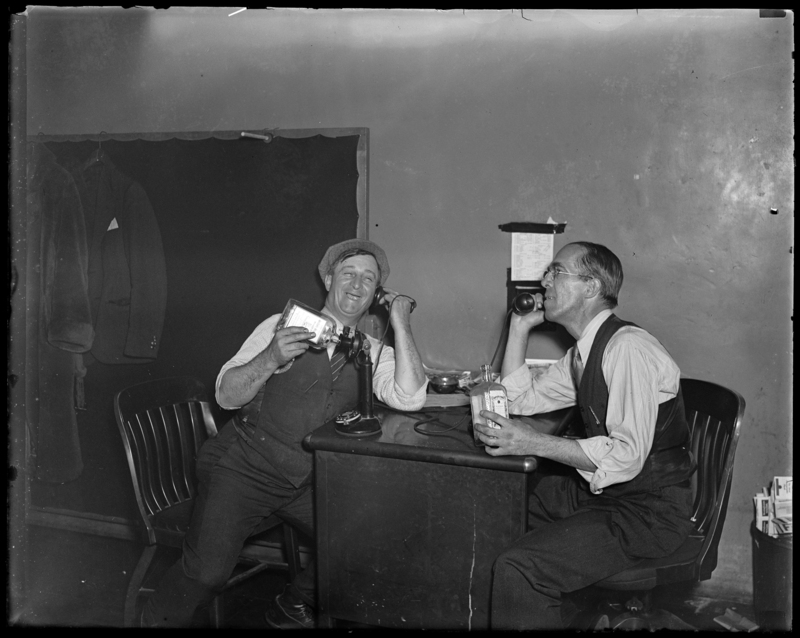 The caption reads: "The photograph by Mrs. Deane. (Faces of sitters obliterated.)" An illustration from Hitting the Dark Trail Starshine Through Thirty Years of Night by Clarence Hawkes (1915). 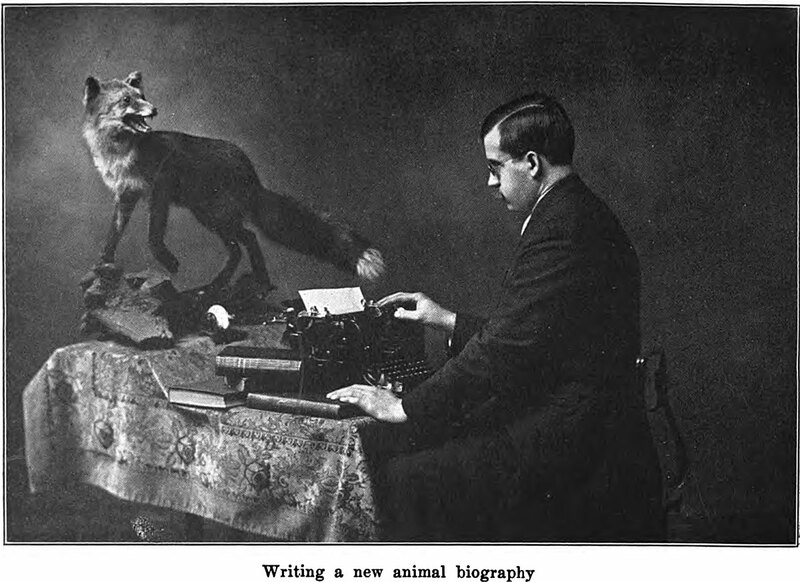 The caption reads: "Writing a new animal biography."